It may not be an official announcement from Apple but it’s coming from a major UK retailer of Apple products, John Lewis and retailers seldom create false hype unless they want a consumer backlash and ultimately business loss. It looks like Apple is set to launch the new iPod Touch with several smart features in September this year. The unofficial announcement was made by the company’s buyer Rob Hennessey at their Christmas look- ahead event in London. Hennessey confirmed that the information was given to him from suppliers and it’s definitely happening. 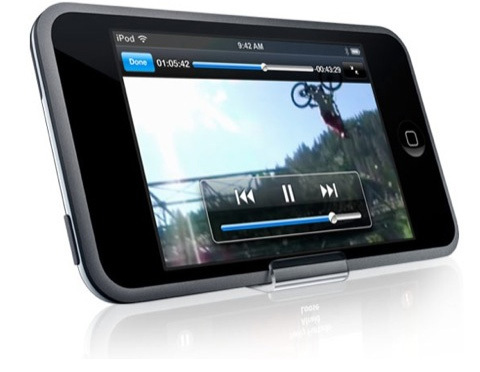 Fans can rest assured that the new upgraded iPod will carry lots of new features, some similar to the iPhone 4. According to Rob Hennessey, Apple is aiming to market it as a multimedia device aimed at the youth and the biggest attraction will be FaceTime, iPhone 4’s video calling feature, which will work with WiFi making it possible to make video calls free of cost. Other upgrades and add-ons include an improved 5 megapixel camera with a flash that can shoot HD video and photos in the dark, social networking and adoption of the same accelerometer and gyroscope as the iPhone 4. The new iPod Touch will be Apple’s third major product launch this year and so far both the iPad and the iPhone have done massive business even in the wake of the latter’s antenna issues. Apple will of course be extra careful and cautious in making the new iPod as foolproof as possible so it’s able to gain back critics’ confidence and admiration. Those of you who skipped the iPhone 4 can now try the famous video calling feature with the new iPod Touch, come September.